David Amsalem says prime minister should not be investigated for minor offenses while in office, suggesting putting a hold on statute of limitations until the premier leaves office; says Netanyahu not aware of the proposal. Likud MK David Amsalem is planning on proposing new legislation that would protect the prime minister from criminal investigations over minor offenses, he said Tuesday morning. "My bill proposes that a criminal investigation will not be opened against the prime minister for offenses punishable by up to six months in prison," he said in a Facebook post. Amsalem's proposal comes as police is examining information pertaining to Prime Minister Benjamin Netanyahu. "Concerning the timing of the proposal," Amsalem wrote, "it's not a relevant matter. After all, in our country, at any given moment there is a secret or a public investigation going on against the prime minister. I suggest that those who worry about that let me know when there is a time in which there is no ongoing investigation, and I would happily table the proposal then so no one tries to find motives or interests behind it." He went on to say that "since it is inappropriate for the prime minister not to answer for such offenses, the bill proposes that during his time in office, that time will not be counted towards the statute of limitations, and so he could be investigated for the offense after the end of his time in office." 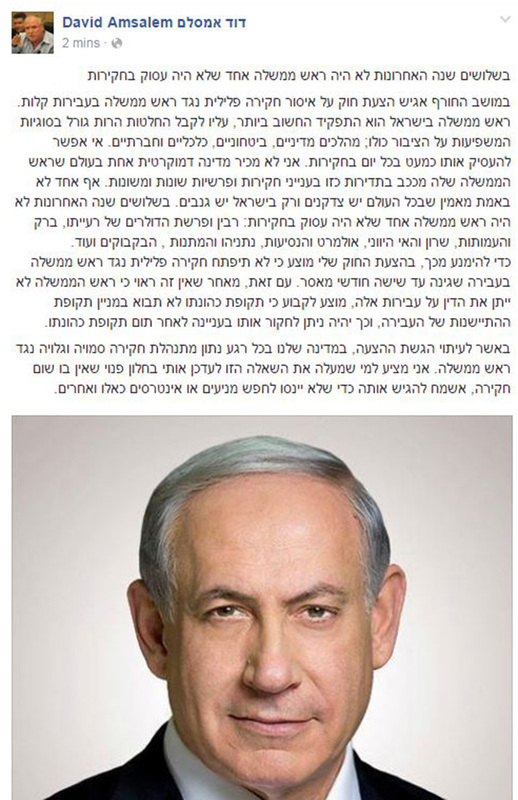 Amsalem added that "the prime minister in Israel holds the most important position. He must make crucial decisions on issues that affect the entire public: Diplomatic, security, economic and social decisions. He can't be kept busy almost every day with investigations. I don't know of one other democratic nations in the world whose prime minister is so frequently 'starring' in investigations and affairs of all kinds. "No one really believes that everywhere in the world, everyone are righteous, and only Israel has thieves. Over the past 30 years, there hasn't been one prime minister who hasn't been busy with investigations: Rabin and his wife's foreign currency, Barak and the NGOs, Sharon and the Greek island affair, Olmert and his travels, Netanyahu and the gifts he got and the recycling of bottles at the Prime Minister's residence, and more." Since the Knesset is currently on hiatus, Amsalem will have to wait for the beginning of its winter session to table the proposal. Bahar: Israel's child imprisonment law "fascist and racist"
First deputy speaker of the Palestinian Legislative Council Ahmed Bahar has strongly denounced the new Knesset law which allows Palestinian children under age 14 to be tried and jailed, describing it as "fascist and racist." In press remarks on Friday, Bahar emphasized that this Israeli law clearly violates the international conventions and agreements that call for protecting children and sparing them any conflicts and wars. "The Zionists is going far further in devising racist laws and legislation, in the midst of Arab silence and international complicity," Bahar charged. "Such violation of the children's rights constitutes a war crime and a crime against humanity according to the provisions of the international laws and conventions," he added. He also highlighted that Israel's new imprisonment law against the Palestinian children reflected its fascism and the need for immediate international action to curb it. 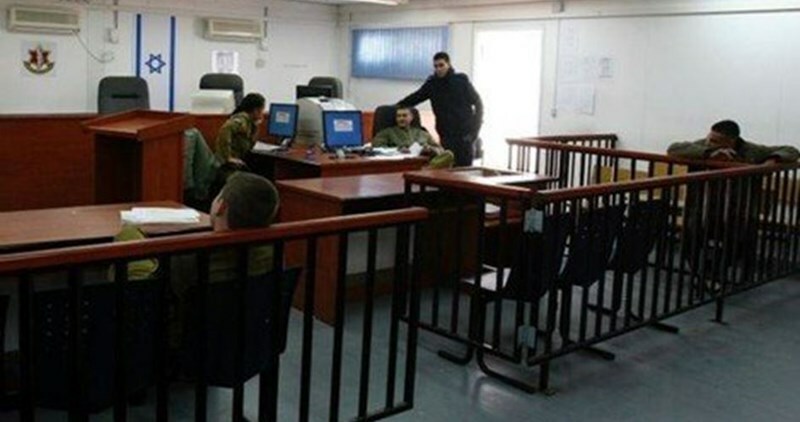 Palestinian Prisoner Society’s lawyer Akram Samara said on Thursday that the Israeli military appeal court of Ofer issued over 1-year sentences against two Palestinian prisoners. Yaqoub Abu Heshesh and Zakariya Ghatasha were sentenced to 20 months and 18 months instead of 10 months and 11 months respectively. The lawyer revealed that this was the first time in which Israeli courts issue such long sentences for the charge of stone throwing. Samara opined that the decision aims at paving the way for enforcing the resolution, which was signed by Israeli army commander in April, 2016, related to increasing the sentence of stone throwing. The decision stipulated that the minimum sentence for stone throwing should be two years. 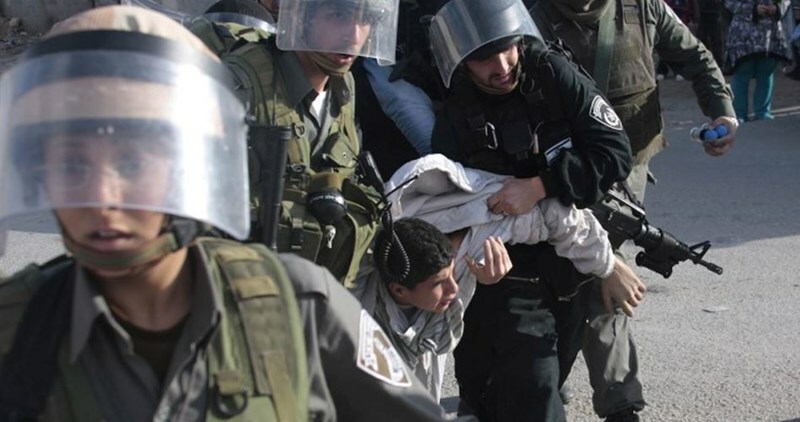 The Israeli Knesset approved, in both second and third readings, the bill of arresting Palestinian children, below 14 years, alleging that they are "terrorists". The channel underlined that the endorsement of the bill was done in the third reading of the law 32 of the Knesset. It was objected by 16 members and one member refrained from voting, it added. A new bill proposing fines for social media sites that do not remove anti-occupation content received the Israeli government’s approval on Sunday, the Jerusalem Post reported. The Ministerial Committee for Legislation approved a bill authored by MK Revital Swid (Zionist Union) giving social media providers, including Facebook, YouTube, and Twitter, 48 hours to remove anti-Israel content. 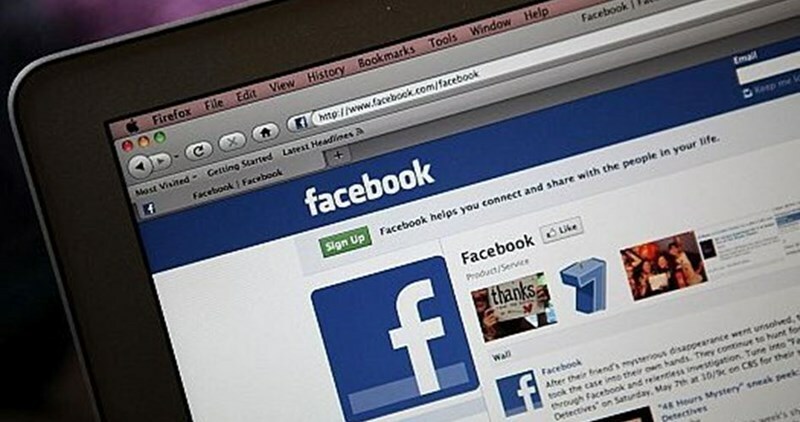 Social media platforms that neglect to remove incitement will be fined $78,000 per post. If it emerges that the site was aware of the post, for example, if it was quoted in major news outlets, but still did not remove it, the fine will be increased. The legislation classifies terror-inciting posts as those that call to or encourage anti-occupation activism and attacks. The bill enjoys widespread support in the current Knesset, with 21 MKs signed as sponsors from a broad cross-section of extremist parties. It sailed through its preliminary vote by 50 to 4, with one abstention. In March of 2016, Facebook figures said some 296,000 posts and 136,000 photos are published on the network each minute from its estimated 1.09 billion active daily users. 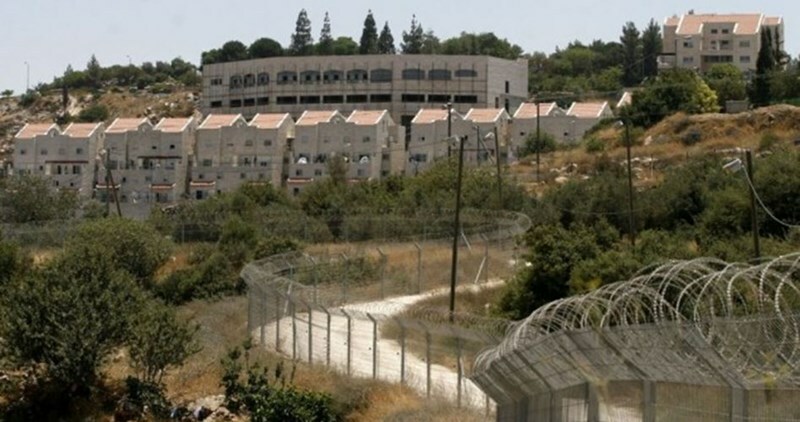 The Israeli High Court ruled for the misappropriation of 100 dunums of Palestinian lands in al-Khalil’s southern town of Yatta, in the southern occupied West Bank. Coordinator for the local anti-settlement committee, Rateb al-Jabour, said the Israeli Supreme Court turned down an appeal filed by the Palestinian citizen Hussein al-Hamamdeh to cancel the confiscation order. The Israeli court claimed the targeted lands are abandoned tracts and that the occupation authorities have the right to seize them in favor of Israeli settlers. Land expert Abdul Hadi Hantash said the Israeli occupation authorities have held sway over one million and 300,000 dunums of Palestinian lands in the occupied West Bank and registered them as “state property” under the pretext that they are abandoned. Meanwhile, the mayor of Yatta and a human rights group have petitioned the High Court of Justice in order to have the army lift the blockade imposed on the West Bank town of Yatta. The closure was imposed on June 9 after it was found that the perpetrators of the anti-occupation attack on the Sarona Market in Tel Aviv had come from Yatta. A court rule is expected to be issued Wednesday over the appeal. The army initially completely blocked off all 12 entrances and exits from the town before they opened them a few days later. On July 2 and following an anti-occupation shooting attack near Road 60, the army reimposed a cordon on the area and blockaded Palestinians’ movement in and out. A home to 70,000 Palestinians, Yatta has been subjected to a tough blockade. Civilians could not reach hospitals while others failed to get to their workplaces as a result of the closure. Social media platforms that neglect to remove incitement will be fined $78,000 per post. If it emerges that the site was aware of the post, for example, if it was quoted in major news outlets, but still did not remove it, the fine will be increased. The legislation classifies terror-inciting posts as those that call to or encourage anti-occupation activism and attacks. The bill enjoys widespread support in the current Knesset, with 21 MKs signed as sponsors from a broad cross-section of extremist parties. It sailed through its preliminary vote by 50 to 4, with one abstention. But Arab MK Abdul Hakim Hajj Yahya of the Joint (Arab) List objected to the bill, saying it was intended to target Arab social media users. “All of these laws are only implemented against the Arabs,” he said. “Why doesn’t this law have a section about calls to racism, why only terror? This law is another racist law and another law that continues to express the discrimination [against Arabs].” In March 2016, Facebook figures said some 296,000 posts and 136,000 photos are published on the network each minute from its estimated 1.09 billion active daily users. 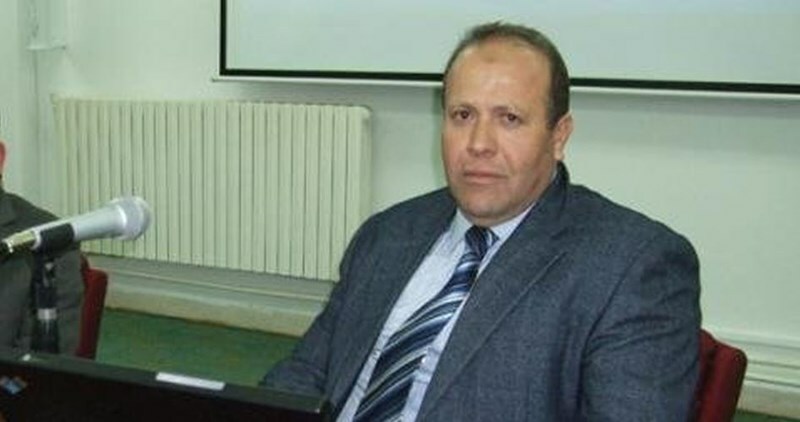 Palestinian professor Imad Barghouthi appealed to the Israeli Supreme Court against his indictment by an Israeli military court for “incitement” due to posting on Facebook, said his lawyer, Jawad Boulos. In the context of this appeal, the Ofer military court postponed Barghouthi’s hearing until 21 August, following the Supreme Court’s action on the appeal. Barghouthi, a renowned Palestinian professor, was sentenced to administrative detention without charge or trial, an act which sparked protests from scientists and academics around the world. When he was scheduled to be released on 29 May, the Israeli occupation prosecution instead filed “incitement” charges against him. Barghouthi is among hundreds of Palestinians targeted for arrest, imprisonment and military prosecution for writing and speaking on social media about their experience under occupation and support for Palestinian liberation. In a related development, lawyer Boulos said following a prison-visit that the two Palestinian detainees Muhammad and Mahmoud Balboul, from Bethlehem, have continued their hunger strike in protest at being held administratively in an Israeli jail without charge or trial. 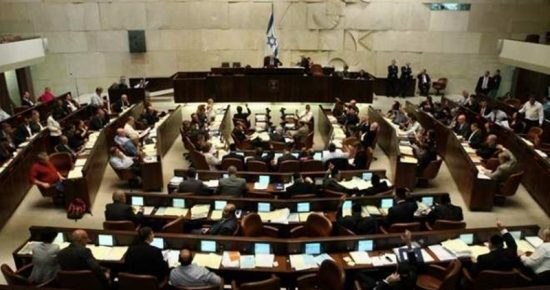 The Israeli Knesset approved Monday the draft law that would enable Israeli lawmakers to expel Arab members of parliament. 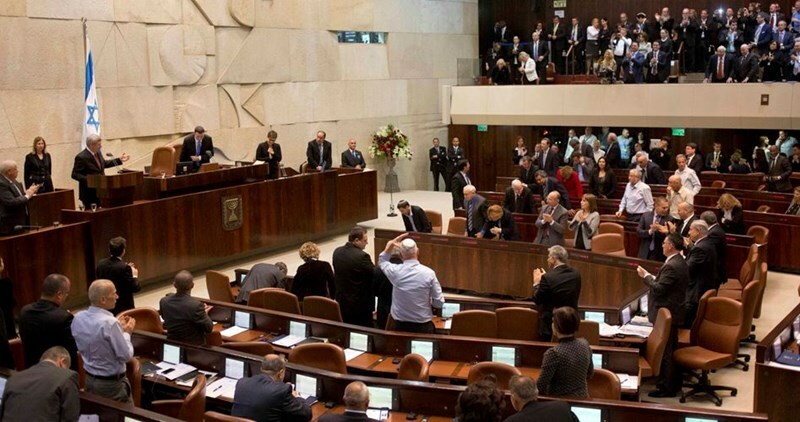 Haaretz newspaper revealed that opposition members rejected revisions filed against the controversial bill that demanded to suspend and not expel Arab Mks. A request to oust an MK will first be presented to the Knesset speaker, who will discuss the request with the Knesset Committee. If at least 75% of the committee members support the request, it will be brought to a vote in the Knesset plenum. The expelled lawmaker will be allowed to appeal the decision to the Supreme Court. The draft law is controversial and many rights groups have criticized it as an anti-democratic law that targets Arab MKs. In February, three Arab MKs were deprived from attending the Knesset sessions for two and four months. Haaretz Israeli daily newspaper, on Sunday, said that right-wing lawmakers from the Jewish Home nationalist party will attempt, today, to legalize expropriation of private Palestinian land in West Bank settlements through a bill, despite Prime Mininster Netanyahu’s “opposition” to it. 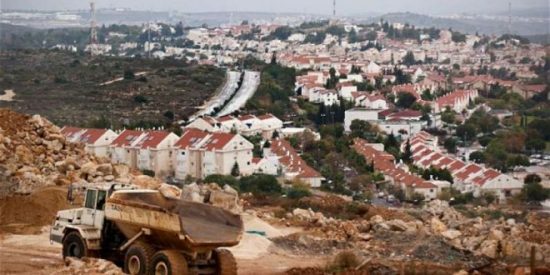 The bill is reportedly directed at Amona illegal settlement, near the central West Bank city of Ramallah. Haaretz added, according to the PNN, that the settlement was built illegally on private Palestinian land, and must be evacuated by December, by order of the High Court of Justice. Netanyahu has scuttled several previous attempts to pass such a bill, which enjoys strong support among Likud ministers. Netanyahu recently appealed to Likud members, asking them to propose other ways of legitimizing the Amona, which is the largest outpost in the West Bank. A senior Likud official believes that if no solution is found and the outpost is moved, the coalition may fall apart. The two residents of Majdal Shams charged with murdering a Syrian being transported in an IDF ambulance in June 2015 have pled down to manslaughter and will serve 2- and 5-year sentences. Amal Abu Saleh, 22, and Bashira Mahmoud, 48, Druze residents of Majdal Shams who were documented lynching a wounded Syrian being carried in an IDF ambulance in June of last year, have admitted to manslaughter under the terms of a plea agreement accepted on Sunday by the Nazareth District Court. According to the plea bargain, Abu Saleh will be imprisoned for seven years and Mahmoud will serve two. In June 2015, dozens of residents of Majdal Shams ambushed an Israel Defense Forces ambulance carrying two lightly wounded Syrian nationals. While driving through the town, the ambulance was stopped by a number of ATVs and soon surrounded by an angry mob. The medical staff locked themselves inside the ambulance, and the accompanying military police told the rioters that the patients were soldiers. Rejecting the claim, the mob rushed the ambulance and smashed one of its windows. 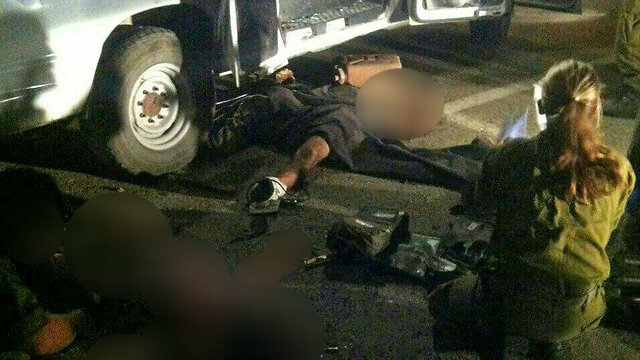 The driver escaped the mob and drove to the nearby village of Neve Ativ, where it was seized again and the two Syrian patients were attacked. One of them was killed, and two IDF soldiers were wounded. Abu Saleh and Mahmoud were indicted for murder. According to the indictment, the victims, who were allegedly affiliated with the Islamist rebel organization Nusra Front, were attacked in revenge for attacks perpetrated by the organization against Druze communities in Syria. The lynching was partially filmed by one of the perpetrators. They are seen to be shouting, stomping the wounded men and beating them with a stick. In total, 30 suspects were arrested, though all but the two mentioned above were released. Israeli Justice Minister Eyelet Shaked and Internal Security Minister Gilad Erdan have gone public with details of a proposed bill which will force internet companies to remove content that the government deems to be promoting incitement. The bill would empower Israeli courts to order social media providers like Facebook and Google to remove content that constitutes a danger to personal or public security. Facebook also closed dozens of pro-Hamas pages and accounts, including the group’s pages in the West Bank and those of the student Islamic Bloc at different Palestinian universities. Facebook administration also closed dozens of accounts of pro-Hamas activists and media campaigners. The move came following a series of meetings between Israeli leaders and representatives of Facebook administration. A similar decision had been opted for by Facebook administration on five earlier occasions since the start of the Jerusalem anti-occupation uprising.